When it comes to finding lodging during a trip to the Catskills, the region has it all – from premier ski resorts and boutique hotels to charming cabin rentals and all-inclusive family resorts. 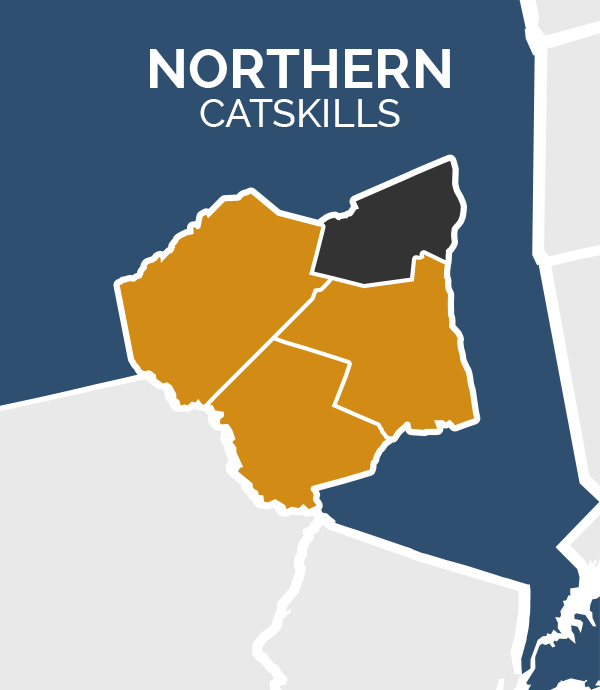 Taking a family vacation to the Catskills? Try a stay at a family-friendly all-inclusive resort offering everything from accommodations and meals, to on-site activities and events. The Winter Clove Inn in Round Top offers guests relaxation at its Colonial-style resort, as well as access to hiking, skiing, golf and a variety of on-site events. Farther south, Villa Roma Resort in Callicoon offers family fun on its expansive grounds in the Catskill Mountains. The Catskill Mountains turn into a wonderland of winter fun when the snow starts to fall. 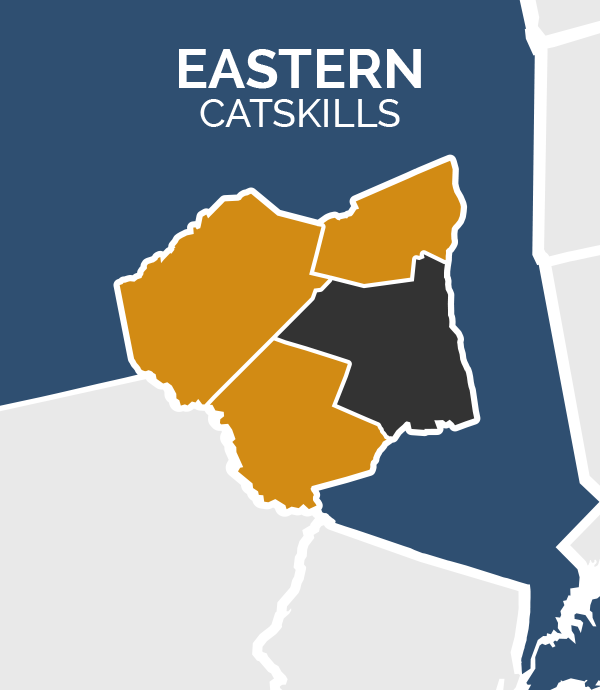 It's no surprise that there are multiple ski resorts throughout the region, giving convenient access to downhill skiing, snowboarding, and other winter activities for Northeastern cities like NYC and Albany. Two Greene County ski resorts, Windham and Hunter, offer plenty of lodging and dining options, as well as unique activities such as a zip line at Hunter Mountain. Belleayre in Highmount, NY is surrounded by many hotels and B&Bs that offer Ski & Stay packages as well. After an influx of design-oriented souls looking to escape the hustle and bustle of the city, the Catskills have become an unexpected haven for boutique hotels. Try the pop-culture influenced rooms at The Roxbury Motel in Roxbury and sleep inside the bottle from I Dream of Jeannie, follow the yellow brick road in The Wizard's Emeralds, have an adventure in The Digs, and enjoy a day at the Shimmer Spa. Or stay at Kate's Lazy Meadow, a rock & roll themed hotel in Mt. Temper. 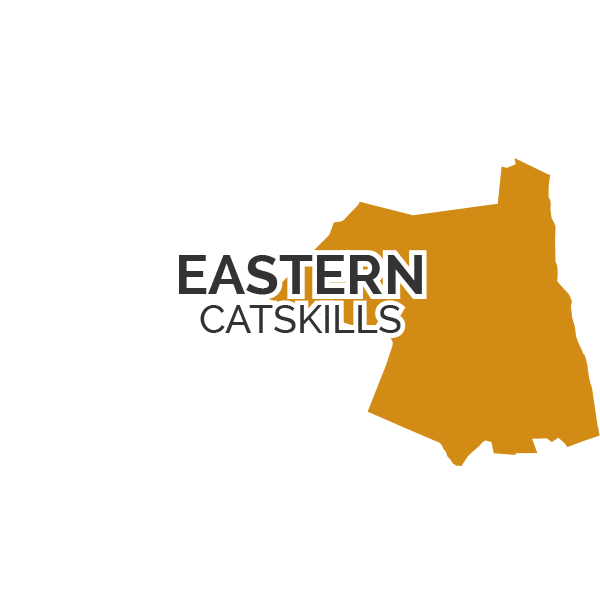 For a more secluded stay in the Catskills with all of the comforts of home, choose from options ranging from old farmhouses to cozy cabin rentals and unique modern homes. Escape to Trout River in Livingston Manor situated on the Willowemoc River and 40 acres of lush natural surroundings – perfect for a fly fisherman's getaway. In Woodstock, try the bohemian-styled getaway of Hotel Dylan, close to hiking, dining, spas, skiing and more. Get the ultimate farm experience with an authentic farm stay offering learning experiences and relaxation. At Stony Creek Farmstead in Walton, guests will rise each day to complete morning chores alongside the farm's owners and farmhands – including collecting eggs for their own breakfast among other activities – and end the day relaxing among a glamping experience of sorts in the farm's rustic and luxurious canvas tent. Those seeking a farm vacation can also venture to Hull-O-Farms in Durham to enjoy the private and secluded Guest House and numerous opportunities to pitch in a hand at this seventh-generation family owned farm. From all-inclusive resorts to a burgeoning scene of unique lodging properties, you’ll sleep tight! 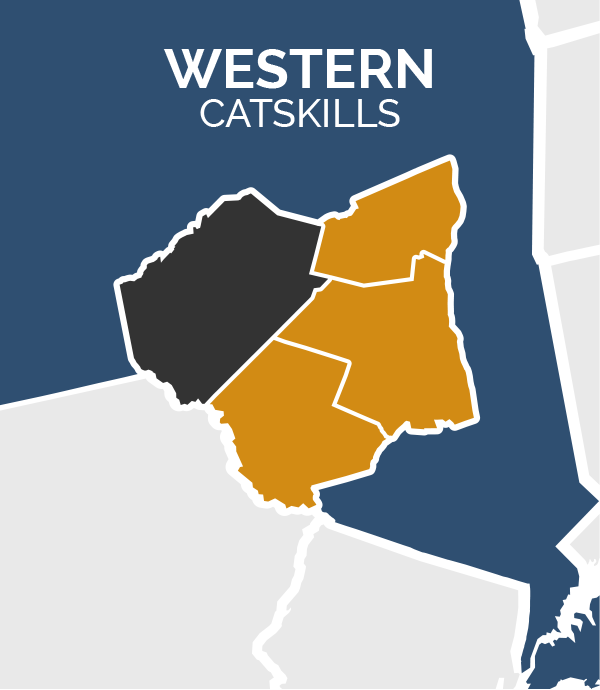 This map will take you offsite to each of the four respective regions that make up the Catskills. Enjoy. 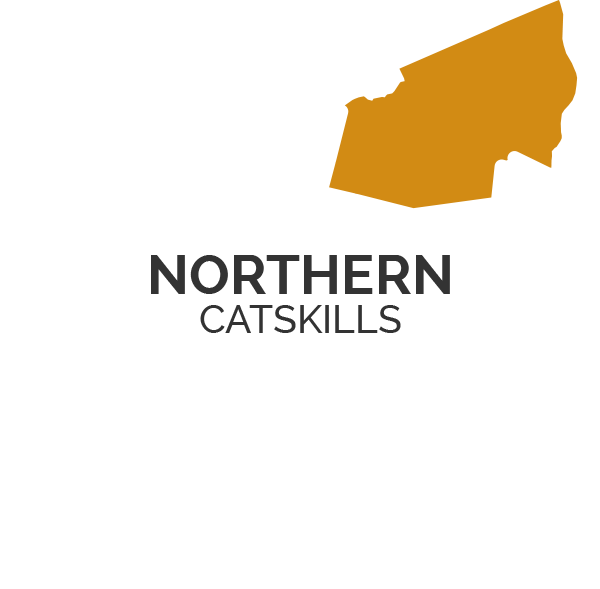 The Catskills have fun activities and events year-round the whole family will love. 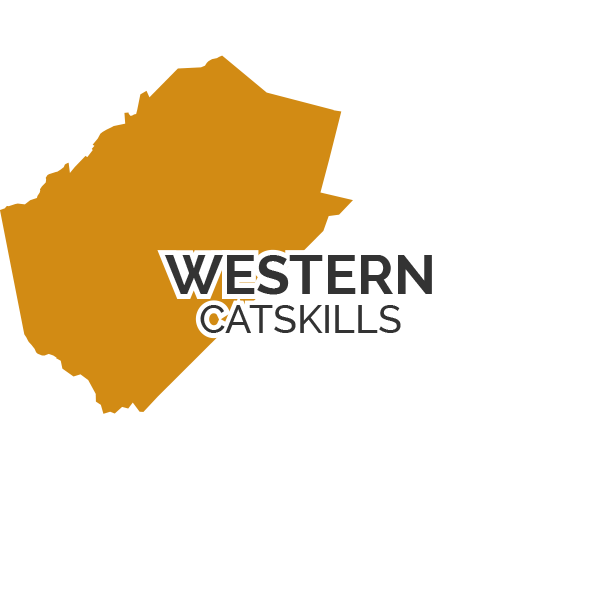 Glamping, backcountry campsites, and RV parks... the Catskills has your ideal camping experience. Looking for a unique lodging experience? 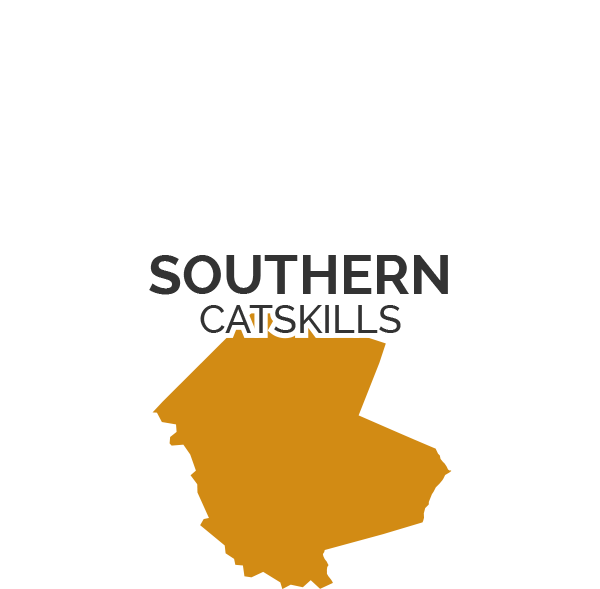 Consider a farm stay in the Catskills.